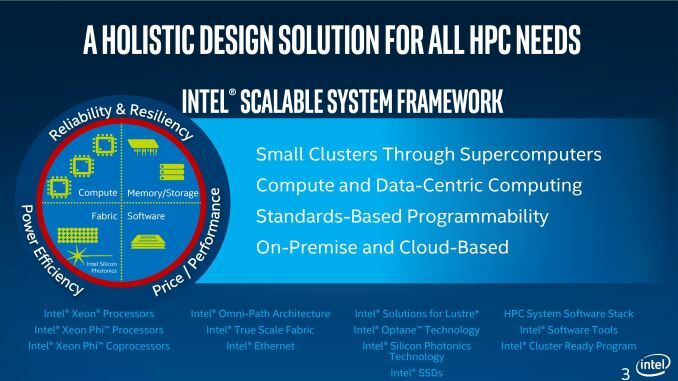 The fourth and final of the major SC15 conference announcements/briefings for today comes Intel. As Intel is in the middle of executing on their previously announced roadmap, they aren’t at SC15 with any announcements of new products this year. However after almost two years of build-up since its initial announcement, Intel’s second-generation Xeon Phi, Knights Landing, is finally gearing up for its full launch. The 14nm successor to Knights Corner (1st gen Xeon Phi), Knights Landing implements AVX-512, Multi-Channel DRAM (MCDRAM), and a new CPU core based on Intel’s Silvermont architecture. Knights Landing is now shipping to Intel’s first customers and developers as part of their early ship program, and pre-production systems for demonstrating supercomputer designs are up and running. Knights Landing is ultimately ramping up for general availability in Q1 of 2016, at which point I expect we’ll also get the final SKU specifications from Intel. 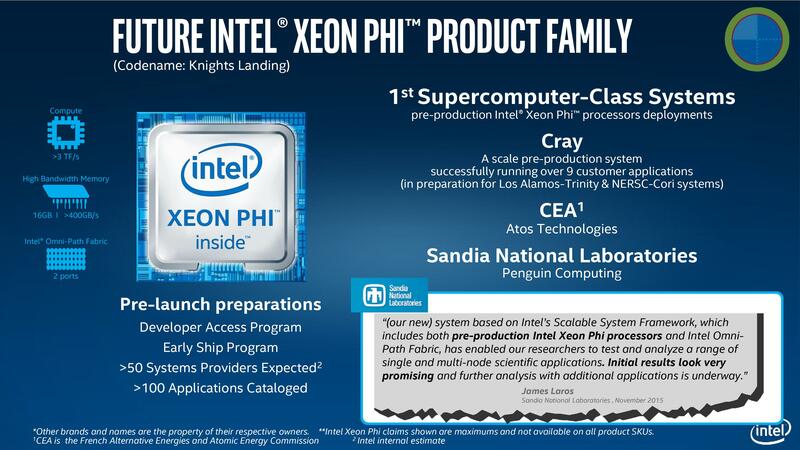 Meanwhile Knights Landing’s partner in processing, Intel’s Omni-Path Architecture, is formally launching at SC15. 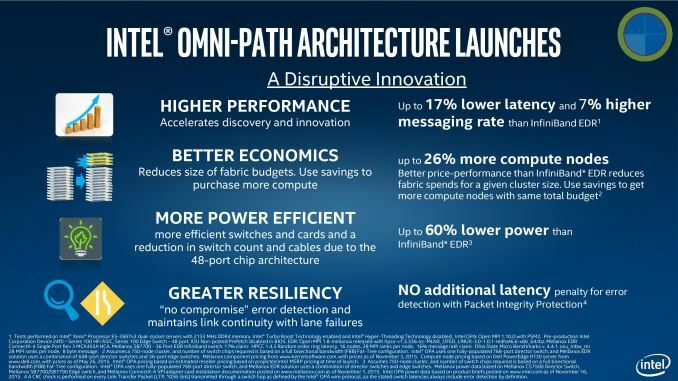 Intel’s own take on a high bandwidth low-latency interconnect for HPC, Omni-Path marks Intel’s greatest efforts yet to diverge from InfiniBand and go their own way in the market for interconnect fabrics. We covered Omni-Path a bit earlier this year at Intel’s IDF15 conference, so there aren’t any new technical details to touch upon, however Intel is now throwing out their official performance figures for Omni-Path versus InfiniBand EDR, including the power savings of their larger 48-port switch capabilities. Ultimately Knights Landing and Omni-Patch Architecture are part of Intel’s larger efforts to build a whole ecosystem, which they’ve been calling the System Scalable Framework. Along with the aforementioned hardware, Intel will be showing off some of the latest software developments for the SSF on the SC15 show floor this week. @testbug00: "Just someone(s) decided naming one HBM was smart. For some weird reason."